When applying for any job, you should learn what a typical workday is like for someone in that role. Cybersecurity is an exciting career. It’s challenging and constantly changing. Most importantly, you get to play hacker while you protect data from bad guys. It’s not all fun and games though. Before you change career lanes, here are some highlights of what happens when you take on the duties of a cybersecurity analyst. What Does a Cybersecurity Analyst Do? IT security analysts find vulnerabilities and exploits on local networks. They are tasked with protecting local networks and assets important to businesses and defending those assets from unauthorized access. Cybersecurity analysts are protectors of the cloud. In this role, you don’t so much as defend against threats as you analyze and make consultation suggestions on what a corporation can do to improve their security standards. Cybersecurity analysts span a much more broad range of information technology because they don’t only protect the local network. They also constantly keep up-to-date on the system and manage cybersecurity. 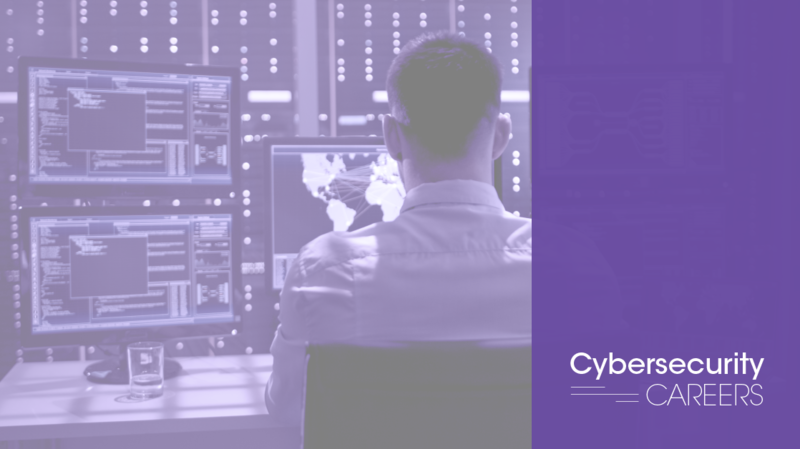 If you are in this role, you must be aware of all the latest threats on the internet and use your knowledge of hacking to help secure the business from threats. Even though it’s an exciting career, you must also keep up to date on the latest trends. New threats and common vulnerabilities and exploits should be something you know immediately. A cybersecurity analyst with this mindset is able to effectively protect their employer from future disasters. If you enjoy learning and staying on top of the latest and greatest news, this career is for you. It is an ever-changing role that requires your constant learning. Any person who enjoys having their roles change as new cybersecurity threats are found will love this career. We talked to a few cybersecurity experts. They all said the same thing — the job is slow until it’s not. It’s your job to find these threats based on your own analytics and research. You then make suggestions to the system administrator on what must change to ensure the safety of corporate data. Most countries have a shortage of cybersecurity professionals, which gives you an advantage. You need to know how to work with penetration testing tools and understand what suspicious traffic looks like. Cybersecurity is more than just understanding basic security exploits. You also need to know how to effectively advise and communicate with executives about directions and standards related to protecting their data. Every day, you’ll need to review reports and dig deeper into things that look suspicious. It’s more than just looking at reports because these reports can be altered by hackers. You must be able to decipher reports and find any inconsistencies in what looks like legitimate access. You need to think like a hacker. Overall, the day in the life of a cybersecurity analyst should be boring. The better you do your job, the more boring it should be. Unfortunately, you’re also the first one to be blamed if someone gets through. That’s why companies take their security personnel hiring very seriously. They’re looking for years of hands-on experience and the right certifications. Certifications test your book knowledge of cybersecurity, but they’re also often required for regulatory purposes. Cybersecurity analysts often have amazing careers that will continue to provide opportunities and challenges. If you enjoy IT security, it’s time to earn some certifications and see where you can take your career.